Attending a trade show can be a very effective method of promoting your company and its products. And one of the most effective ways to optimize your trade show display and increase traffic to your booth is through the use of banner stands. A banner stand for your trade show display draws attention to your booth and helps you deliver your message to prospective clients, current customers and business contacts at what is usually a highly competitive event. Your trade show display should stand out from the crowd, and a banner stand is a great way to make sure it does. Banners themselves are typically constructed with either fabric or vinyl. There are advantages and disadvantages to each type of material, so you should consider how you will use your banner stand before deciding between fabric and vinyl. Fabric banners are durable and long-lasting. Fabric doesn’t reflect light like vinyl, which can decrease your banner’s readability. Fabric banners also don’t bend or crease so they travel well. However, fabric banners are not easy to clean and can become dingy or faded with time. Vinyl banners are easy to wipe clean and allow for brighter colors and sharper image definition on them making them more eye-catching than fabric banners. There are many aspects of banner stands that make your investment in one worthwhile. Banner stands can be designed with your company logo or graphics, and include the important information you want to convey to prospective clients. 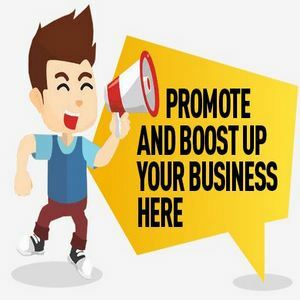 They can be used in conjunction with a trade show display or on their own to advertise a product, announce an event, or showcase information about your business. They can be used as an extension of your trade show booth at a show because they can be set up in other areas like the show lobby or at the end of an aisle. Additionally, banner stands are lightweight, portable, and easy to set up and take down. Once you have invested in a banner stand, you will find many uses for this vital piece of equipment outside of trade show displays. Banner stands are reusable and long-lasting. You might consider setting up your custom banner stand in a shopping mall to draw customers into your store, in a hotel lobby to direct the flow of traffic, at a movie theater to advertise an upcoming film, at a sporting event to showcase team information, or wherever your audience is likely to be found. The benefits of a custom banner stand will last your business far beyond trade show displays, and with proper care can be used for several years of succinct, eye-catching advertisement for your business or company.